Kiiro the Gecko is colorfully beautiful. He was a real pleasure to render. 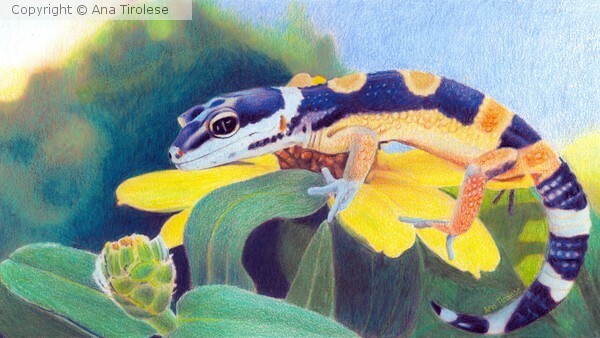 This piece was created for, and entered in, the Colored Pencil Magazine's October Art Challenge, Professional Category. Photo by Sally Ford was used with full permissions. Splendid work and technique, Ana!! !